“Vive la France!” – That is the motto which stood as an emblem for the Ruhr Piano Festival in 2018, its Anniversary Year. Commemorating the end of the First World War in 1918 and paying homage to Debussy, who likewise passed away a century ago, we decided to place the Festival’s annual focus on German-French friendship, an important political and cultural axis that has played a significant role in the history of music. 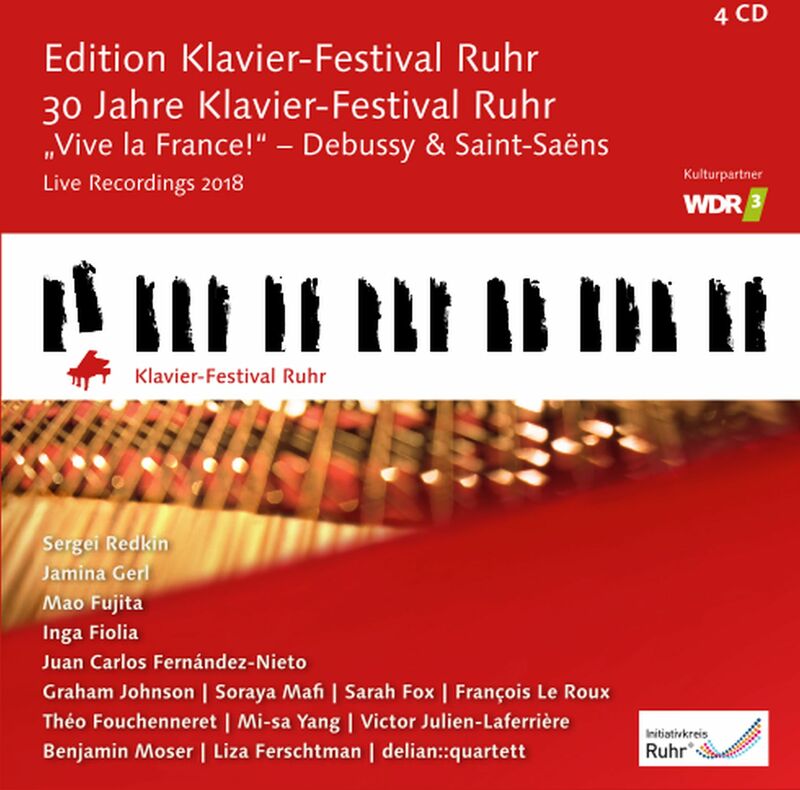 I am therefore particularly pleased that this year’s boxed set of 4 CDs highlights France as a great cultural nation by featuring the highly variegated, exhilarating repertoire of two composers who left an indelible mark on the late 19th century: Claude Debussy and Camille Saint-Saens. Ever since the Festival was founded in 1988, this cultural flagship of the Ruhr Circle of Initiatives has evolved to become the most well-known address for professional pianists on a worldwide scale. 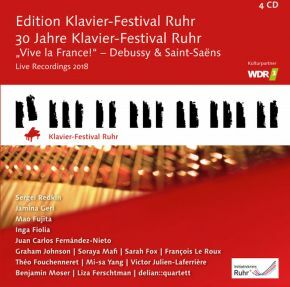 Celebrated masters of their craft and young rising stars all congregate each year in the Rhine-Ruhr region to present the fascinating, variegated world of piano music to an enthusiastic audience. One of the Festival’s remarkable traits is that it lends particular prominence to young artists who are at the beginning of their careers.